Intel has successfully managed to get Android 4.1 Jelly Bean running on its Medfield processor. The completed port means that phones like the Intel-toting Orange San Diego and ZTE Grand X IN should continue to receive software updates beyond Android 4.0. 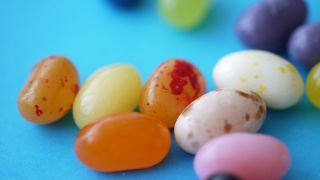 Don't go cracking out the bubbly just yet though, as there's no word on if or when the Jelly Bean update will officially hit consumer's Intel phones. Intel's VP and general manager of mobile Mike Bell said that 'multiple' Intel employees are using Medfield phones with Jelly Bean, including himself. He explained that the company can't guarantee when the software will make it to phones: "We can't put it on the phones. We have to give it to the carriers to put on the phones and they go through acceptance testing,"
Intel will be pleased though; the completed port sends a clear message to other manufacturers that Intel is committed to Android and will perhaps entice a few more phone makers away from ARM.